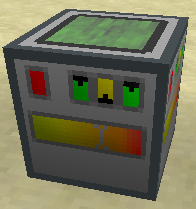 This is a multiblock generator that runs on various fluid fuels, can be built in any form. This is the main block of the generator. Fuel tank and power capacitor to the left. Stats to the right (mouse over icons for explanation). Click wrench icon for output configuration. Actual production is determined by requested energy, the system will not burn fuel when it has nowhere to store the energy. Efficiency multiplier is 110% by default, can be increased with Efficiency Upgrade Modules. 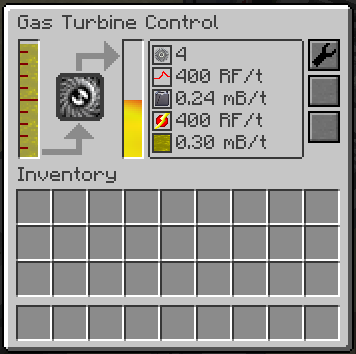 Additional fuels might work, their fuel values will show in the tooltip.